Dog and cat owners are becoming increasingly concerned about the saftey of processed pet food and the possible side-effects of over-use of antibiotics and hormone treatments. This new edition, thoroughly revised and updated, covers Natural Rearing, herbal medicine and disease prevention. 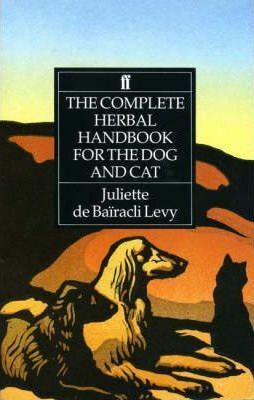 "There are countless kennels and dog owners throughout the world who have proved Miss Bairacli Levy to be right in her methods, treatment and theory." --Shooting Times There are countless kennels and dog owners throughout the world who have proved Miss Bairacli Levy to be right in her methods, treatment and theory. Shooting Times" "There are countless kennels and dog owners throughout the world who have proved Miss Bairacli Levy to be right in her methods, treatment and theory." --"Shooting Times"